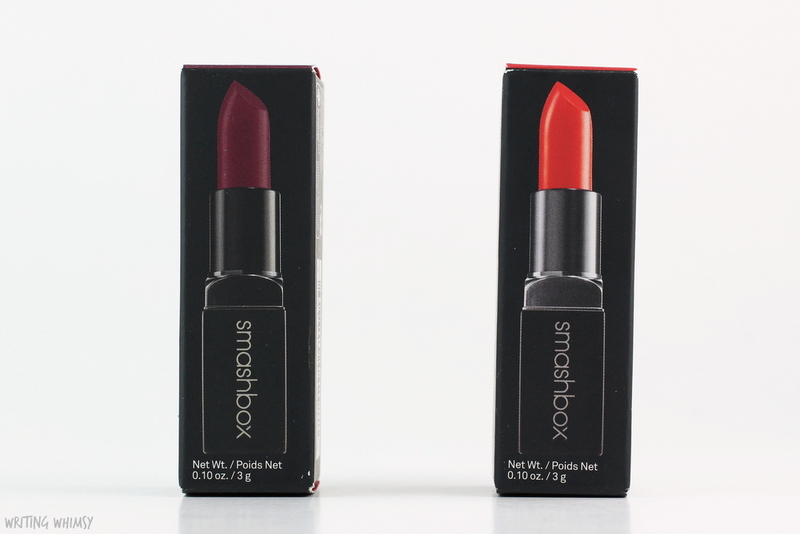 The first time I tried a Smashbox lipstick I said “I would be happy tossing all the other red lipsticks I never wear and just sticking with Smashbox Cherry Smoke Be Legendary Bing Lipstick.” Recently, Smashbox expanded the Be Legendary Lipstick range and I have two of the gorgeous new shades to share, the Smashbox Be Legendary Lipstick in Femme Fatale Matte* and LA Sunset*. 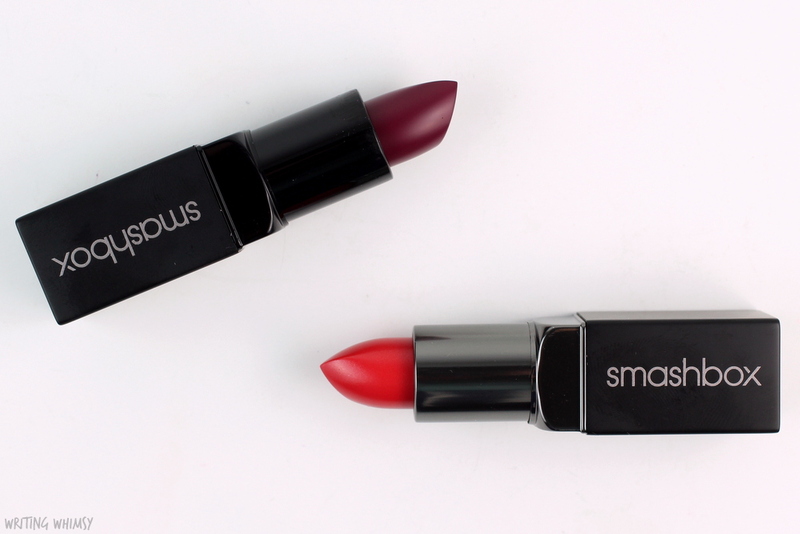 The Smashbox Be Legendary Lipstick formula is available in matte and cream finishes and I was sent one of each to try out. The sleek black packaging is very similar for both and they do look the same closed but when opened the matte shade Femme Fatale has a totally black bullet, the cream shade LA Sunset has a shiny dark grey. 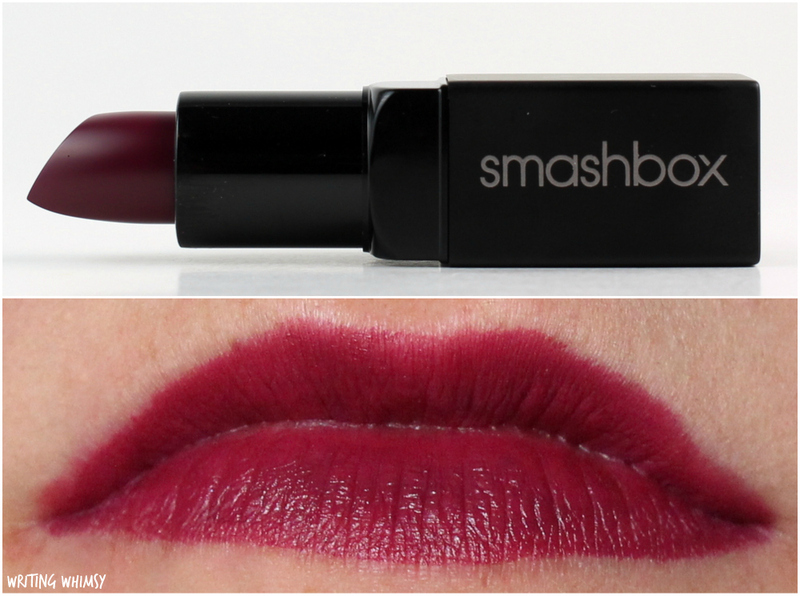 The Smashbox Be Legendary Lipstick in Femme Fatale Matte is a gorgeous dark berry with a semi-matte finish. It’s definitely not totally matte but you can blot it down. These types of shades are just so lovely for winter but often have streaky, uneven application. Luckily, Femme Fatale Matte glides on for a near flawless finish. 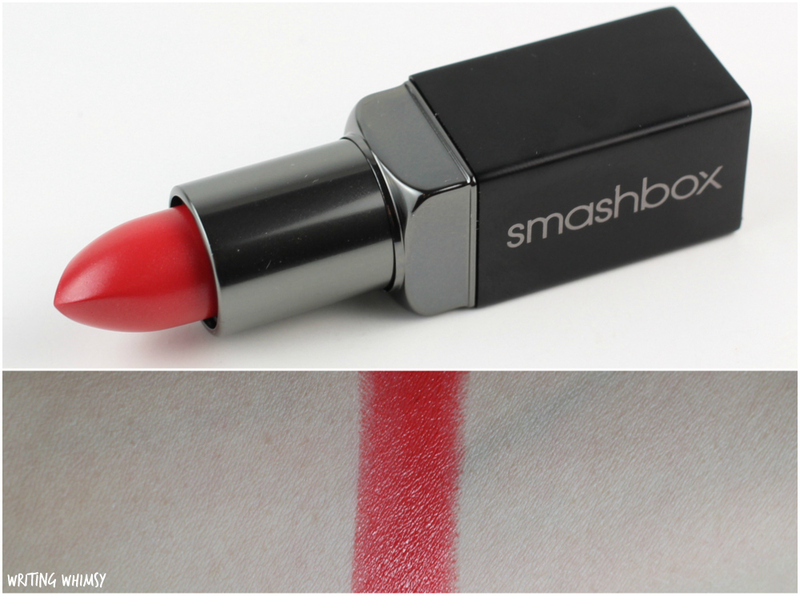 I was definitely surprised by how much I loved the Smashbox Be Legendary Lipstick in Femme Fatale Matte applied. I tend to give away a lot of my vampy lipsticks since they are so far outside my comfort zone but this one is just so pretty I have to keep it. It has a creamy consistency that is comfortable to wear. Femme Fatale wears for at least a few hours and leaves behind a stain. 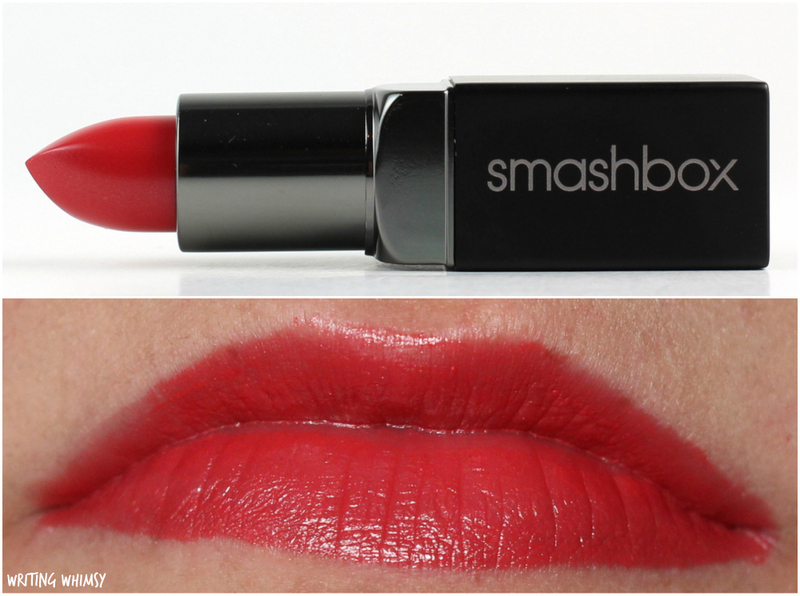 The Smashbox Be Legendary Lipstick in LA Sunset is a orange-red cream with a glossy finish. This shade also applies perfectly and it’s definitely got a shinier, more slippery consistency but still fairly long wearing. The Smashbox Be Legendary Lipstick in LA Sunset is very comfortable to wear and definitely feels like a perfect shade for Spring and Summer. 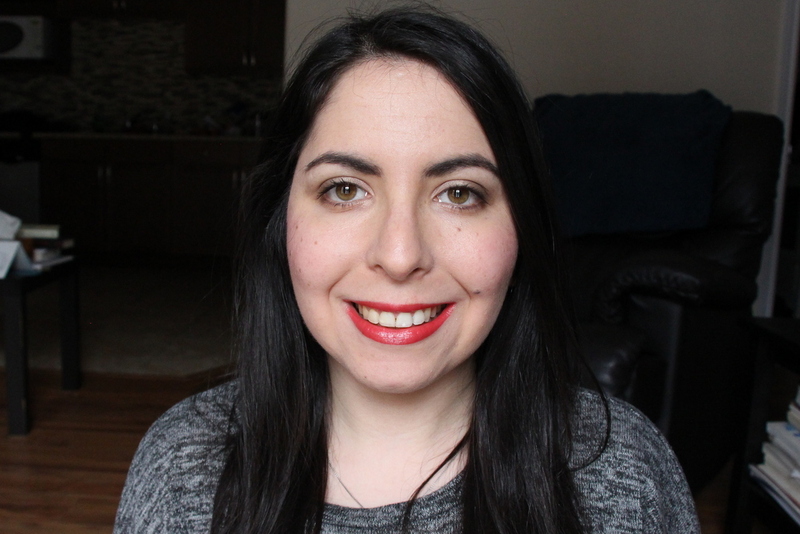 Unlike the Smashbox + Flare + Donald Robertson Be Legendary Lipstick in Canadian Flare I reviewed, this one was nice and stiff, so it is much sturdier to apply. 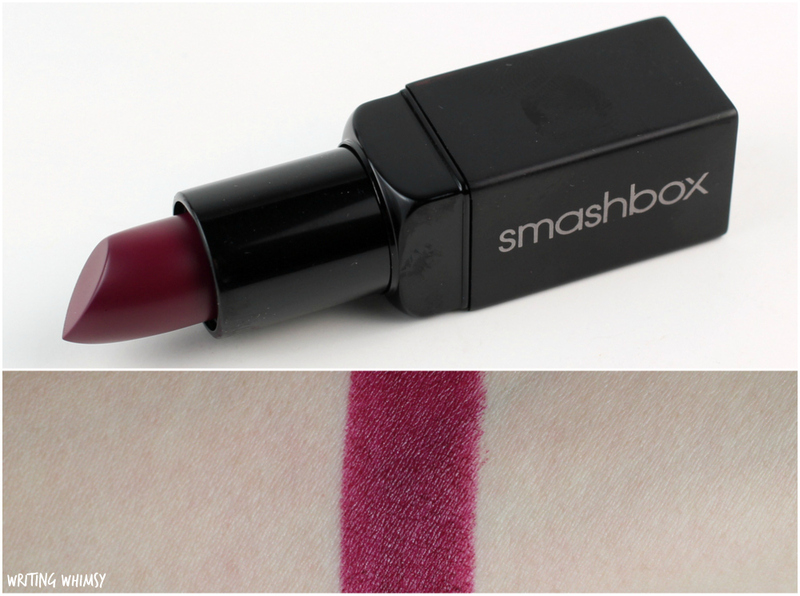 I definitely think that the Smashbox Be Legendary Lipsticks are under-rated because they make some gorgeous shades and I am incredibly impressed by the application, especially for a darker shade like the Femme Fatale Matte. 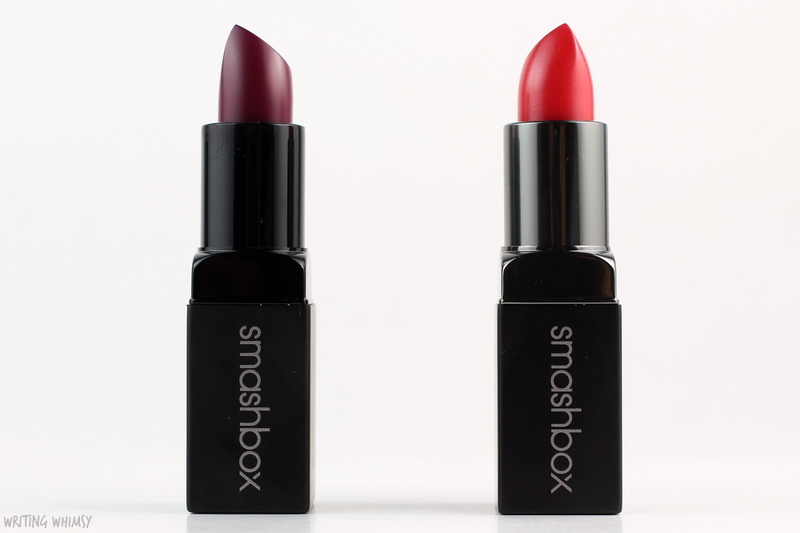 Whether you are looking for a new matte or cream shade I highly recommend checking out the Smashbox Be Legendary Lipsticks. Have you tried one yet?